with a dinner prepared with passion by Brigata Gustabili, the catering managed by educators and disabled, in the social cooperative Titoli Minori Music performance and artistic influences, that will embrace classic music and street style, going through blues, jazz and alternative music. “Music is the way where soul comes back to the sky”…and the location of our event will be under the star, at the ancient San Martino Church, in Sottomarina. Gustabili created the event [ convīvíum ] to demonstrate the opposite to the city. Gustabili has a big dream: from a simple lab for disabled, we want to teach to those who are born with a disability or those who live a social disadvantage that nothing is impossible, and that they can choose and live their future. We decided to do this creating an event where you will taste art’s beauty and cooking with with [ convīvíum ]. “Titoli minori” is a type A co-op fostering several projects in the Venice and Rovigo area, which aim at promoting the wellbeing and social integration of disabled, distressed and needy minors. Our conviction of a possible education in this field has ignited in us the desire to improve the life of those who are often considered invisible in our society. We put our expertise and competence at the service of the personal fulfillment of the invisible. Our mission is to enhance a set of responsibilities and values directly connected with the betterment of the human being and his/her most complete well-being; we carry on our undertaking privileging the being, its uniqueness, without distinctions. We promote the constant advancement of our services and activities’ quality, first of all through research and the training of our educators and associates. Titoli minori plans projects and offer services considering the specific needs of our community. 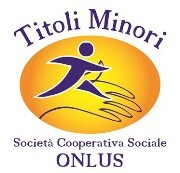 Titoli minori was born in 2000; its origin and cultural foundation stems from the experience of Social Service (Servizio Civile Nazionale) during the 90s. This particular type of commitment – which put in contact almost 150 young people with minors, disadvantaged and disabled – led us to believe that the interaction with people in need had to be established in a more significant professional activity. It is exactly in the spirit of improving the daily life of the disabled that Titoli minori started its projects in the Venice and Rovigo territories. Today we manage and oversee assisted living facilities, daily care centers and one educating community for both disabled and minors. We support these projects with the necessary services regarding childcare (kindergarten and supplementary aids for early childhood), animations and free time (such as game/toys rooms, youth centers, and our several projects directed at preventing alcohol abuse, alcoholism and related problems).